Forced landing on street after engine failure. 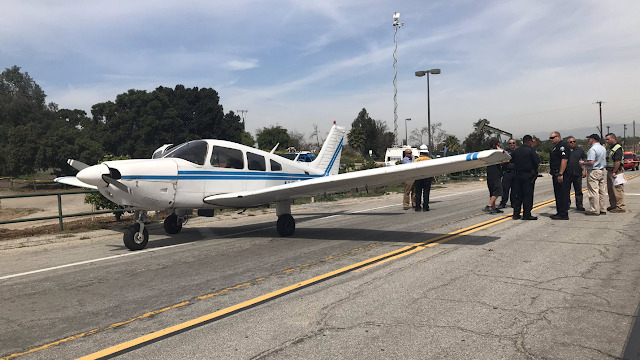 A small plane touched down safely after being forced to make an emergency landing on a street in Signal Hill not far from Long Beach Airport, authorities said. 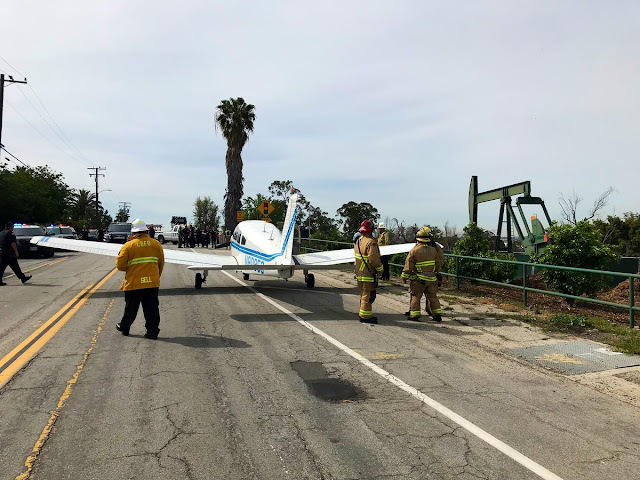 The aircraft emergency was reported just after 10:15 a.m. in the area of East Spring Street and Orange Avenue, according to the California Highway Patrol's incident log. A single-engine plane was performing a touch and go off a runway at the airport and then lost power a short time later, the Long Beach Fire Department tweeted. 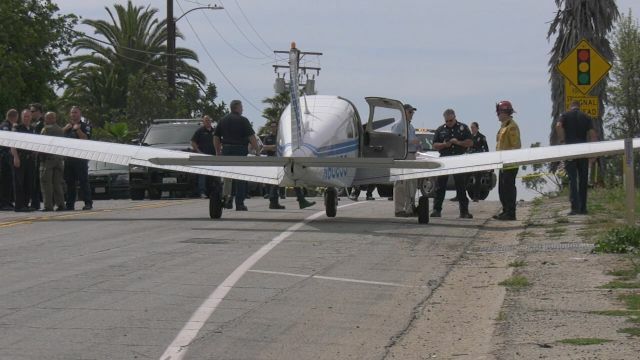 The plane landed safely in the 2700 block of Orange Avenue at approximately 10:23 a.m. 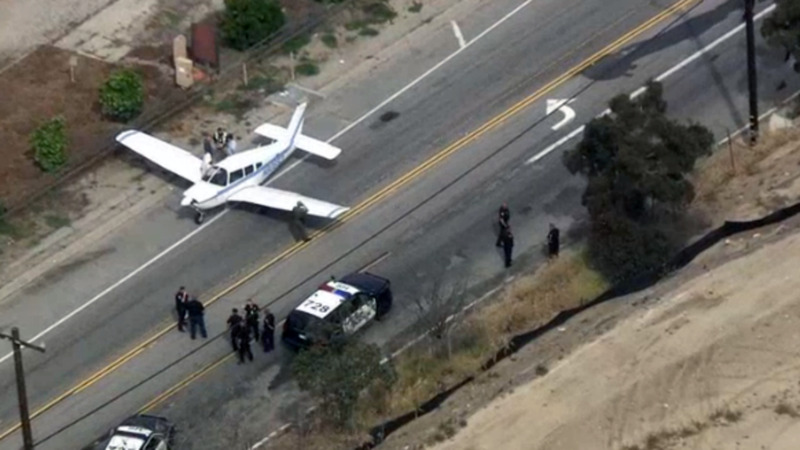 The aircraft did not crash, nor did it collide with any vehicles, CHP emphasized. 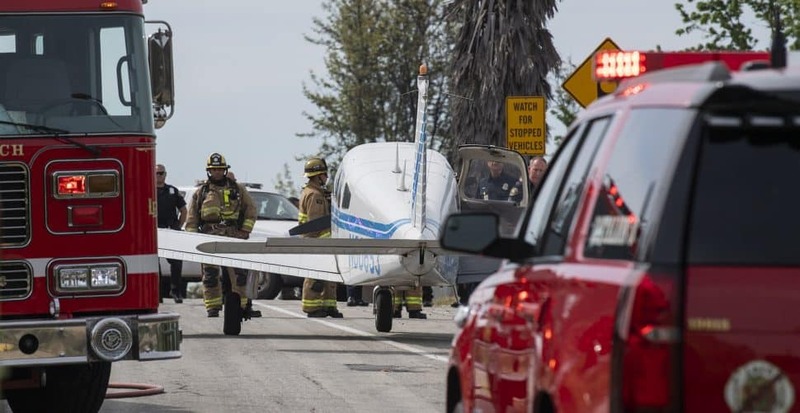 Only the pilot was on board the plane at the time, according to the Los Angeles County Fire Department, adding that no injuries have been reported and there was no danger to the public in that area. 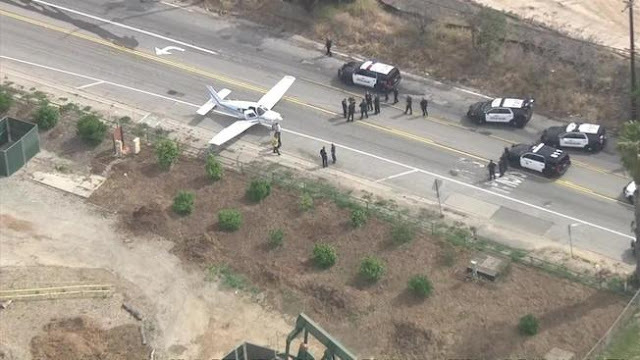 Multiple police and fire units could be seen near the plane shortly before 11 a.m., Sky5 aerial video showed. 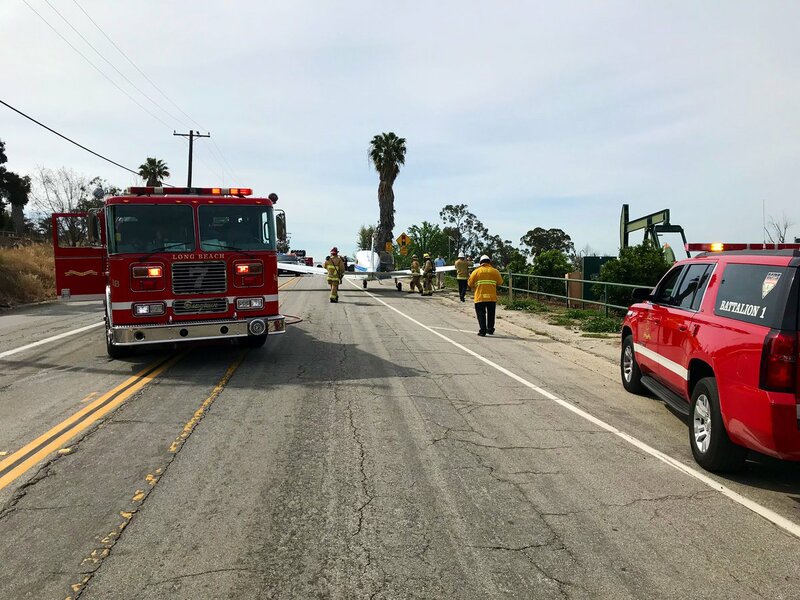 A stretch of Orange Avenue has been shut down amid the investigation and removal of the aircraft, but it is expected to reopen by about 2:15 p.m., county fire officials said. 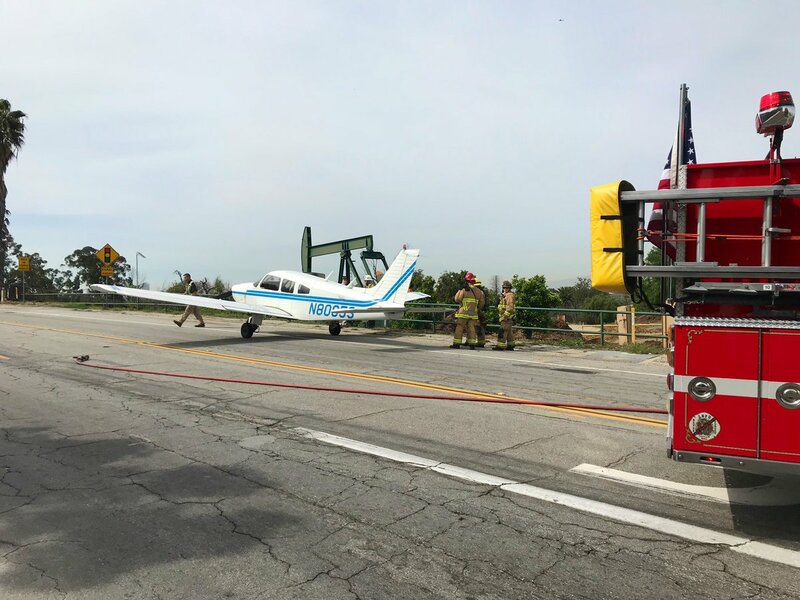 The National Transportation Safety Board and the Federal Aviation Administration have been called in to investigate. 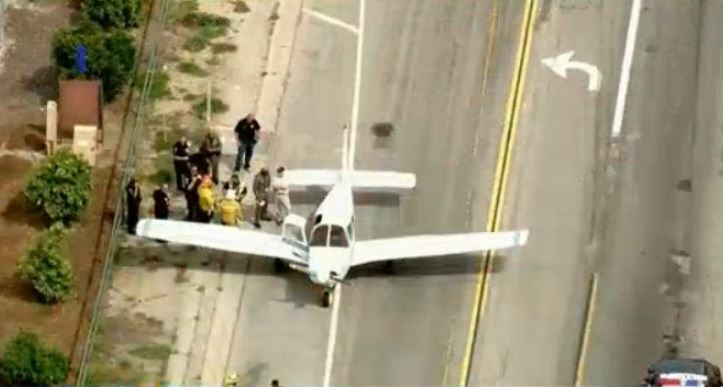 Looks like some very good flying, avoiding the power lines on one side of the road and obstructions on the other. Wow, good piloting. 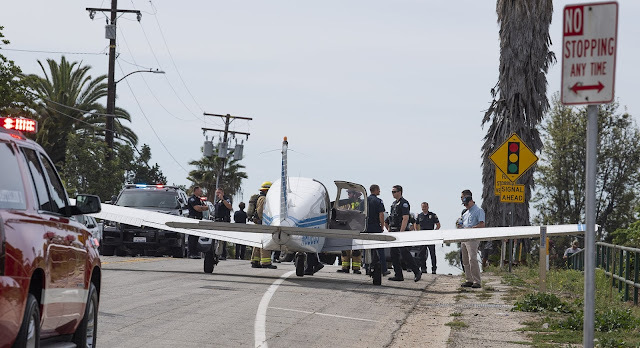 Power Lines...I have nightmares about power lines. These are the kinds of stories I like to read about as a pilot myself. Pilot kept calm, flew the plane and "threaded the needle" to a successful landing on the road. 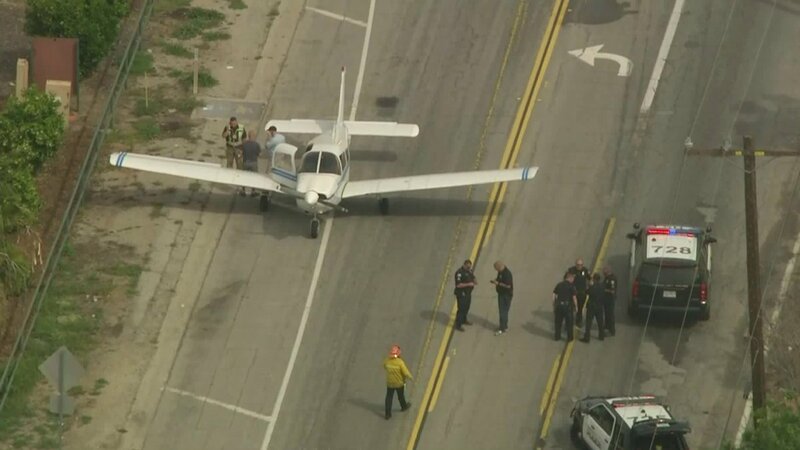 Both pilot & plane live to fly on another day.